This means that only four more countries now need to deposit their instruments of ratification with the African Union Commission (AUC) chairperson to reach the minimum threshold of 22 – and 30 days after this level is achieved the AfCFTA will enter into force. Earlier this month Gambia became the 22nd country to complete the domestic process required to ratify the deal – the world's largest free-trade area since the formation of the World Trade Organization – which was signed last March by 44 members of the African Union. 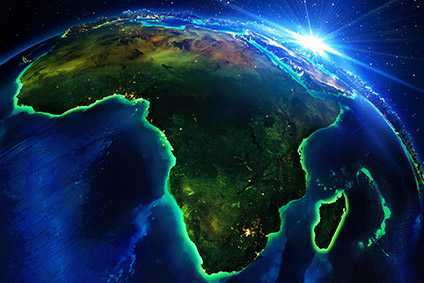 The treaty is ultimately designed to remove trade barriers between 55 African nations with a combined population of more than 1.27 billion people and a combined gross domestic product of more than US$3.4 trillion. Included within the 44 signatories are key garment producing countries Kenya, Morocco, Madagascar, Mauritius, Egypt, Ethiopia, South Africa, Lesotho and Tunisia. Once implemented, the AfCFTA – also known by the four-letter acronym CFTA – will require member nations to eliminate tariffs from 90% of goods traded between them, including clothing, within five years. A special dispensation has also been tabled for seven LDCs (least developed countries) – including Ethiopia and Madagascar – giving them a 15-year period to reach 90% of tariffs. According to the United Nations Economic Commission for Africa (UNECA), the deal could also enhance intra-African trade by 52.3% annually. The 18 countries that have deposited their instruments of AfCFTA ratification with the AUC Chairperson are Ghana, Kenya, Rwanda, Niger, Chad, Congo Republic, Djibouti, Guinea, eSwatini (former Swaziland), Mali, Mauritania, Namibia, South Africa, Uganda, Ivory Coast (Côte d'Ivoire), Senegal, Togo and Egypt. The four countries that have obtained parliamentary approval for ratification but still need to deposit their instruments of ratification with the depositary are Sierra Leone, Zimbabwe, Ethiopia, and the Gambia. Earlier this year just-style looked at how the AfCFTA agreement is expected to provide a boost to Egypt's garment industry.